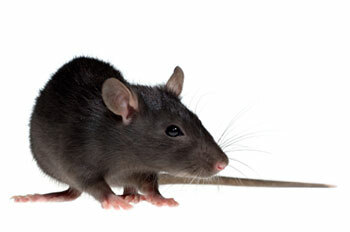 Rats are common pests that can make living in your own home uncomfortable. Vermin hiding in your home can appear at inconvenient times, such as while you are unwinding at the end of a hard day or when guests come over to visit. One of the most significant challenges associated with a rat infestation is identifying hiding places. Rats almost never hide in plain sight, so you have to go looking for them. Roofs are attractive hiding places for rats because they are warm at all times of the year and offer a vantage point for extra protection. If you believe that rats are hiding under your roof, you should take steps to identify the location of their nests and apply the right pest control methods. Once rats get inside your home, their first priority is usually to establish a nest. Rats able to find food inside a home often try to build their nests near a food supply so that they can protect it from other animals. When rats choose to form nests under your roof, the areas above your kitchen and pantry tend to be the most frequent nesting grounds. The insulation that lines the floor of your attic provides rats with extra warmth, so nests are often buried and difficult to find. You can locate the exact site of a rat nest by going into rooms under your attic and listening to the movements of these pests. People who experience a rat infestation sometimes feel a sense of shame because of the mistaken belief that these pests are only found in filthy homes. The reality is that rats can enter homes for a wide range of reasons, and heat is the most common factor that leads a rat inside. During the cold winter months, warm homes offer ideal living conditions for all types of pests that face exposure to the elements. Food can, however, encourage rats to stay in your home once they get inside, so you should put away anything that has the potential to be perceived as food to discourage rats from residing in your home. Removing sources of food is not sufficient to get rats to leave your home in most cases. You will have to take deliberate action to implement pest control procedures designed for treating rats. Never try to kill rats with weapons on your own since these pests can retaliate with vicious bites when they are provoked. Local stores have kits that claim to contain everything necessary for eliminating rat nests, but the truth is that these kits almost never work. Additionally, the chemicals needed for treating rats are only available for licensed professionals, so getting your hands on the tools necessary for effective pest control is difficult. The best way to eradicate your rat problems is to work with a professional pest control company that understands how to apply the latest treatment methods in an effective way. Germantown Pest Control & Termite has years of experience helping homeowners eliminate pests and prevent them from coming back. The company can use professional equipment to locate rats hiding under your roof before treating them in a safe and humane way. Contact Germantown Pest Control & Termite to get a free quote for pest control in your home.